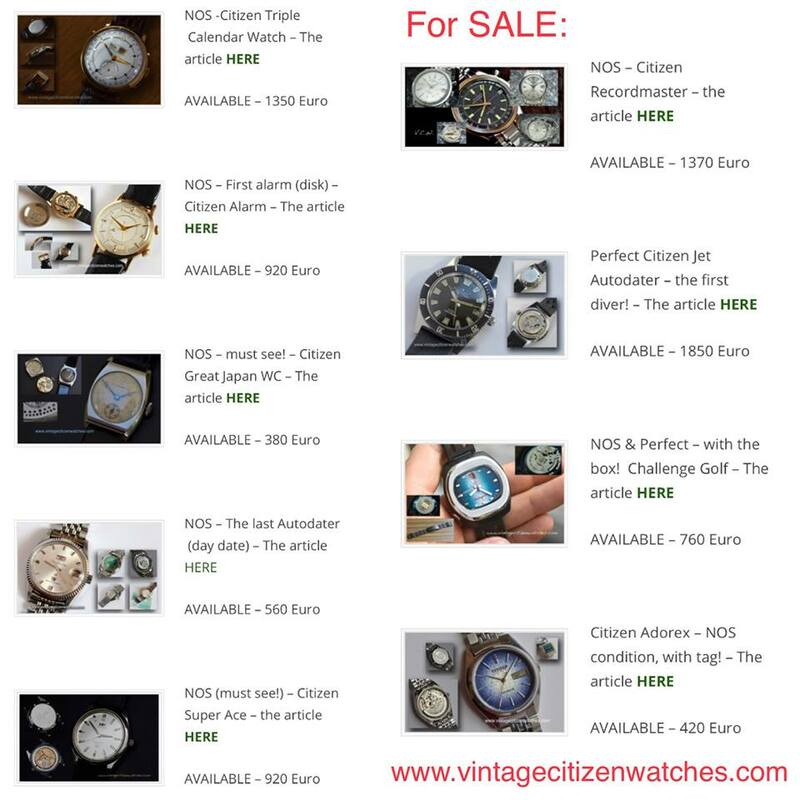 A good friend and collector is selling a part of his vintage Citizen watchcollection. Not all of them. He is trying to find his dream project. Don’t we all have dreams? I am supporting him on this project and thought it could help him to get more exposure on his old vintage Citizens. Many if not all are NOS, always in exceptional condition. He focused to collect only the best pieces.